Our ambitions are bold. Much has been achieved in recent years. We have completed needed heritage restoration work to Auckland’s iconic Domain building. Over the next five years, we will undertake a range of building and gallery improvement works that will renew the building as Auckland’s war memorial and a key cultural destination. At the heart of the changes will be our new Tāmaki galleries, to be launched at the end of 2019. These will share the stories of our people and our place, resonating both with Aucklanders and our growing international audiences. As kaitiaki (guardians), responsible for caring for more than 4.5 million treasures, we hold the ‘DNA’ of Auckland. In recent years, we have worked with communities to better understand our taonga and have doubled our investment in their care. We have brought the collections to the world by making them widely available online. Our priorities for the next five years centre on enriching the visitor experience, extending our reach and impact, fostering new research questions and debate, and supporting social belonging and participation. We will also deepen our engagement for individual visitors and audience groups, sharpen our business and operating models, and grow and diversify our income. We see Auckland Museum as the place to discover Auckland – past, present and future – asking questions and stimulating debate about this city and its evolving identity. Success will depend not just on deploying our own talent creatively, but also on our partnerships and supporters as well as on the broader network of arts and culture organisations across Auckland, with whom we collaborate. With the continuing support of Auckland Council, Regional Facilities Auckland and others, the Auckland Museum in 2022 will be a vital part of Auckland’s future as a modern, inclusive and dynamic, global city. Our starting point is our legislation of 1996. This requires Tāmaki Paenga Hira to present New Zealand’s history (including the partnership envisaged by the Treaty of Waitangi), be Auckland’s war memorial, and lead through innovation and partnership, whilst supplementing ratepayer funding by revenue-generating activities. This Five-Year Strategic Plan gives effect to our legislation. It is also well aligned with the refreshed Auckland Plan, particularly the importance of fostering an inclusive Auckland, where everyone belongs; promoting Māori and Pacific identity and well-being; and valuing our cultural heritage and the environment. The objectives in the Auckland Plan and Toi Whītiki – the Arts and Culture Strategic Action Plan for Auckland – are at the heart of what we believe and do. 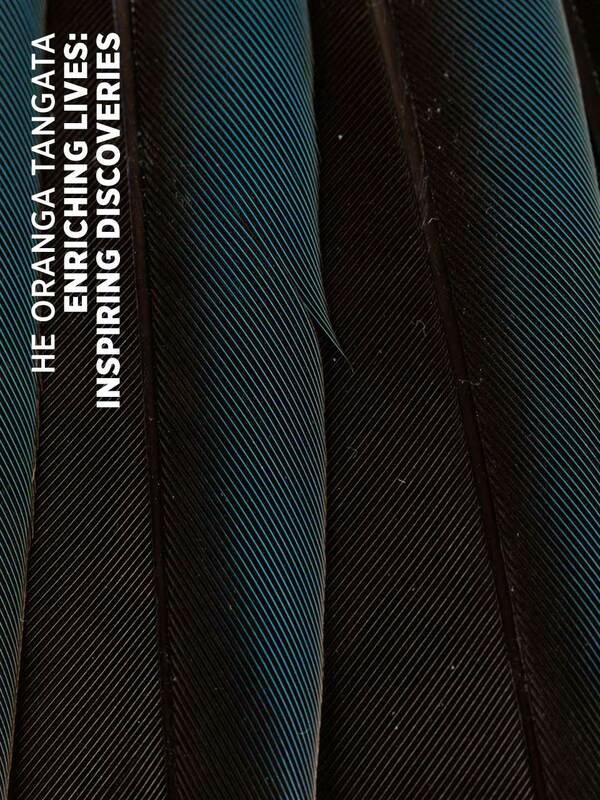 Our vision at Auckland Museum is ‘He Oranga Tangata Ka Ao – Enriching lives: Inspiring Discoveries’. Implementation of our 20-year Future Museum strategy, adopted in 2012, and now our Five-Year Strategic Plan, will help us realise this vision for a culturally rich and creative Auckland. Our Future Museum strategy enables the Museum to look up and look ahead. 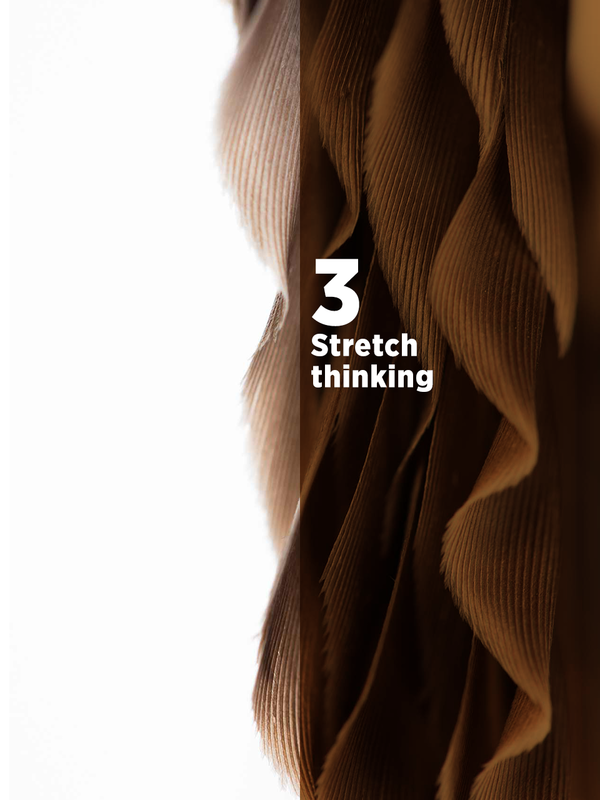 In this Five-Year Strategic Plan, we set out our medium-term priorities. We are planning for the steadily rising levels of engagement and participation onsite, offsite and online in order to meet the needs of a growing and increasingly diverse Auckland. The priorities set out in this Plan will be realised through actions and measures to be included in Auckland Museum’s annual planning process. We embark on this strategy from a strong base, with many examples of success and recognition, locally and internationally. Over the past five years, we have invested in the care of the collections and the iconic Domain building. We have reached more people – onsite, offsite and online – and made a strong contribution to the wider Auckland economy. The period 2017–2022 will be one of continued change for Auckland Museum and Auckland’s cultural sector. Wider social, economic and environmental pressures affecting Auckland present a challenging context. Auckland’s growth trajectory continues to increase demands on its civic infrastructure. It puts the spotlight on the role of cultural heritage institutions and the contribution made by them to our economy, our communities, and to people’s sense of identity and belonging. At a time of fast-paced change, when society faces many challenges, we are determined to seize this as an opportunity to respond in a way that is relevant, brings cohesion and enhances people’s lives. Auckland’s current population is 1.6 million, with 1.4 million living within the region’s urban area. Auckland grows by 45,000 people a year and is rapidly emerging as one of the most diverse cities in the world. By 2038 approximately 2.2 million people will live in Auckland, almost 40% of New Zealand’s population. Our broad Asian communities will increase the most during this period, with almost two thirds of the country’s Asian population living in Auckland, and one in three Aucklanders likely to identify as Asian in 2038. The Māori ethnic population is set to grow in all areas of Auckland, with a quarter of the Māori population to live in the city in 2038. Pacific communities are also projected to rise significantly in scale, to make up 18% of the Auckland population in 2038, up from 15% in 2013. Auckland Museum has an important role to play as a place of learning, participation and belonging, enriching the lives of all Aucklanders and engaging all of our visitors. The refreshed Auckland Plan expresses the need to value, protect and enhance our environment and cultural heritage, and recognises that these assets are under considerable pressure. The iconic Domain building is bursting at the seams and is expensive to maintain and upgrade. It currently serves many purposes: war memorial, public galleries, special exhibitions hall, visitor amenities, collections care and storage, education centre, reference library and workplace. We are rethinking the building and how we best use it. It needs to be optimised for public use, and ‘fit for the future’, able to accommodate increasing demand and visitation as our city grows. Above all, we want Auckland Museum to be a place where people can meet, connect and be inspired. We are appreciative of Auckland ratepayer support for our core activities and recognise that, in an environment which is financially constrained, we need to demonstrate a return on the investment made in Auckland Museum. Continued responsible fiscal management and a greater emphasis on selfgenerated income through commercial activities, grants and fundraising are crucial. We also need to work collaboratively with others in the sector and beyond it, to maximise our overall impact. As Auckland’s population continues to grow and diversify, there is a need to enhance and maintain a shared sense of belonging. Our aim is to attract 1.2 million onsite visitors annually by 2022 and to more than double our outreach audiences in five years to 100,000. We will establish ourselves as the place to go for information, debate and discussion on Auckland and our connection with it. We will reach out to all Aucklanders – the people who live or work here, those who feel at home here, and those newly arrived. We will also be relevant to and inclusive of our many communities and diverse audiences, including Māori, Asian, Pacific, European and many others who call Auckland home. We will continue to listen to our communities, share knowledge about our city and place, and speak out on Auckland issues. We will be a great place to work and our reputation will attract the very best. Our volunteer programme will support Auckland’s community connectedness and deepen our civic engagement. In the next five years, Auckland’s population is projected to grow by 7–10%, the rest of New Zealand is expected to grow by 5%, and international tourism could grow by 20–25%, with 4.5 million visitors in 2022 from 3.7 million in 2017. This means that, to meet our visitor growth targets, extra initiatives are required to boost onsite visitation, in order to achieve average annual visitor growth of between 5% and 7%. Until 2019, we expect growth in visitor numbers to be relatively static, but to accelerate from 2020, coinciding with the ‘reveal’ of new galleries and greatly-enhanced amenities at the end of 2019. We will also be ready to welcome increased visitor numbers in 2021, when Auckland hosts the America’s Cup yacht race. • Increasing the size and quality of public spaces, creating new gallery content and improving public amenities. From 2020, our audiences will experience fresh and modern exhibits in our permanent galleries, and the amenities that our visitors want and need will be at hand, with the creation of a new welcome and hospitality precinct in the South Atrium. • Introducing a richer special exhibition offering, including international touring exhibitions with broad appeal. We will also intensify our schedule of public programmes, debates and online discussion responding to issues facing those who live and work in the Auckland region. Our new Tāmaki galleries, to open at the end of 2019, will share new stories of our place and our people. It will be a landing place for visitors and new arrivals to the city and a site of engagement and re-engagement for Aucklanders. • Continuing to play a leading role in cultural tourism for the city and nationally, increasing tourism numbers visiting the Museum. • Activating the Domain and Museum to draw more visitors to the area, for example by opening for extended hours and developing new public programming aligning with celebrations in the Domain. At our heart, we will always be Auckland’s war memorial – home of Auckland’s collective remembering and commemoration. We will continue to deliver annual programmes of commemorative activity, in partnership with key stakeholders, with such activities drawing ever increasing numbers of Aucklanders. We will welcome the establishment, in the Domain, of a new WWI peace memorial in 2019. We will reach more people, and deepen their engagement, through the establishment of a strengthened Membership Programme in 2019. This programme will provide enriching visitor experiences that Aucklanders seek, cementing our engagement with our communities. 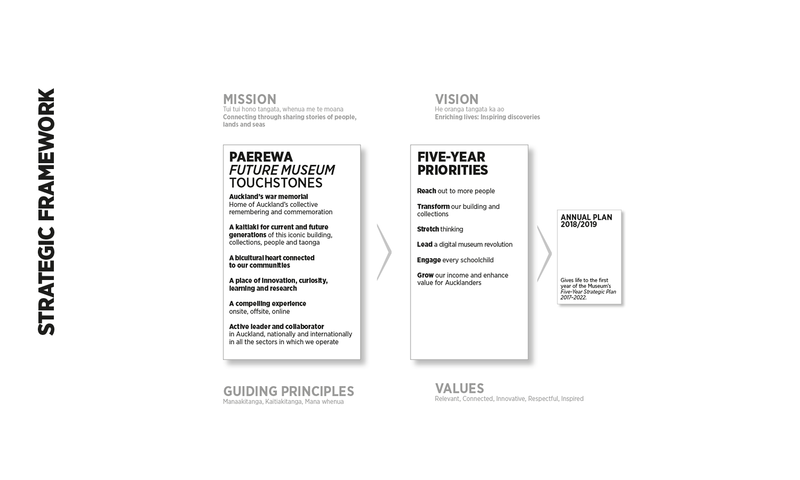 We expect membership of Auckland Museum to provide a core constituency of support and, over time patronage. By 2022, we aim to have a membership of 5,000, together with 100 patrons. Auckland Museum will have strong partnerships and collaboration with iwi and Māori that contribute to Mātauranga Māori and research in Te Ao Māori (the Māori world) and Te Taiao (the natural environment). 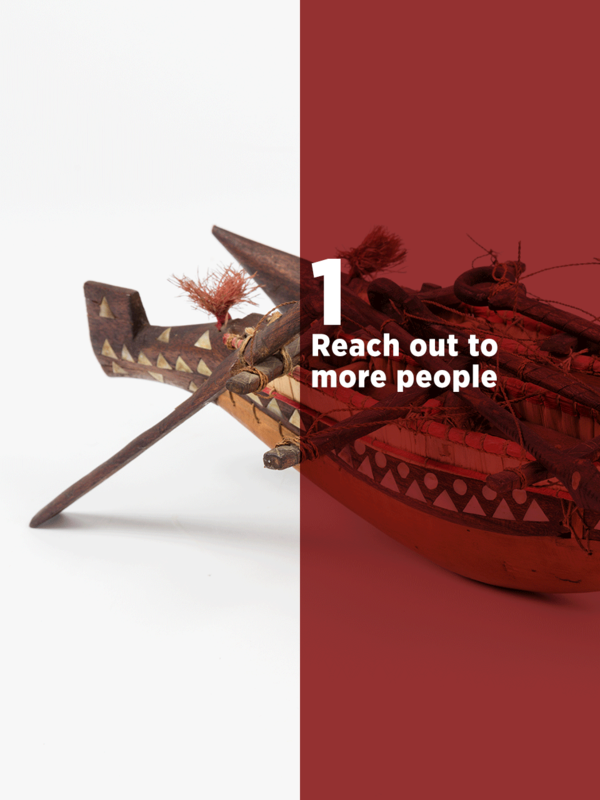 We will ensure access for communities to their taonga at the Museum through our new galleries, Mātauranga Māori and research initiatives, digital and online access, and by taking taonga to communities. We will enable our audiences to enjoy a bicultural experience, embedding this in our welcome, our exhibitions and our programmes. We will acknowledge iwi and hapū, their tikanga, taonga and pūrakāu (stories), especially in the new and refreshed Tāmaki galleries on the ground floor, to be delivered in 2019. Te Reo Māori will be a visible and important part of the Museum’s brand that is experienced by visitors onsite through bilingual signage and programmes, as well as via bilingual staff, and online. Auckland Museum is also committed to rectifying historical actions that have resulted in Māori, Pacific and other tipuna (ancestors) being cared for at the Museum. We will do this through the repatriation of tīpuna to Māori, Pacific and other communities. We will initiate new research and exploration of the New Zealand Land Wars and colonisation that shaped this country. The Treaty foundation of Tāmaki Makaurau provides for and embraces a growing and diverse society. Auckland is a diverse and dynamic Pacific city and Auckland Museum will be the place to hear and experience Pacific languages and cultures through participation of Pacific communities in our Museum activities and programmes. These will be supported by a workforce with Pacific knowledge and language capability. We will nurture our partnerships with Pacific communities and organisations, for example through our partnership with the Ministry of Pacific Peoples, to host the national launches of every Pacific language week. By 2022, Auckland Museum will be recognised as a leading metropolitan museum that contributes at a national level, with a global reach. We will develop networks across our operations and engage in the global galleries, libraries, archives and museums (GLAM) community through conference participation and by entering international awards to ensure our work is appropriately acknowledged. We will seek to host international conferences, such as MuseumNext. 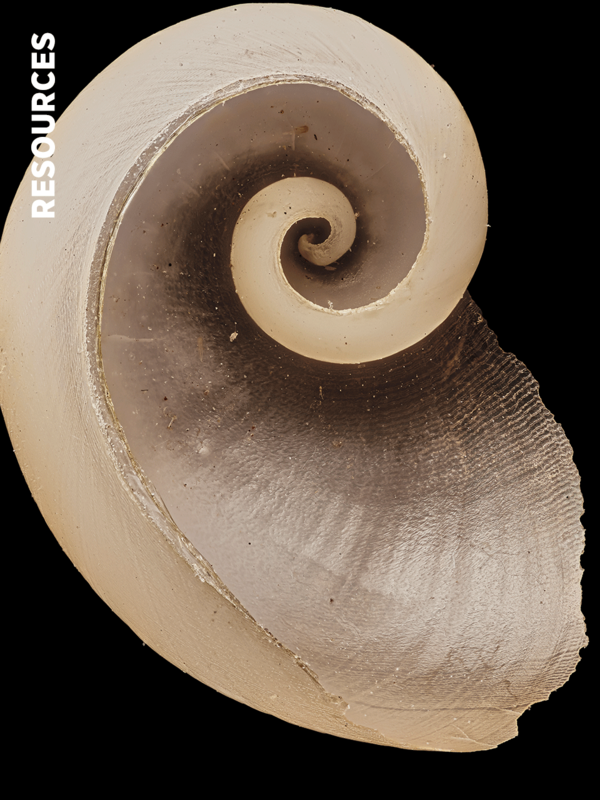 We will develop a programme of exhibitions that can also be used by others, which tell our unique stories in the natural sciences, Mātauranga Māori, and the geological and botanical history of New Zealand. We will seek out partnerships in Asia Pacific, focusing each year on a new area or country starting with the activation of our existing relationships and networks in Australia and Nanjing, China. 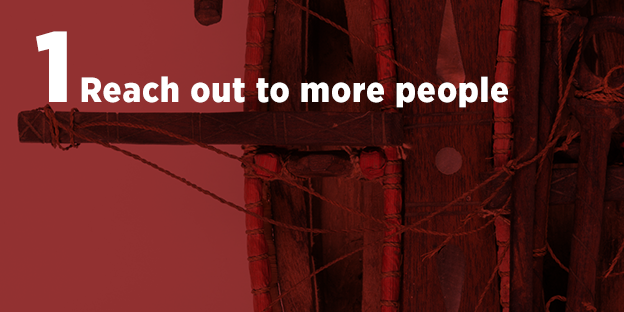 We will seek to lead the development of touring exhibition and research networks across the region. Our aim is to bring the world to Auckland and Auckland to the world. We are well under way with Future Museum, our 20-year strategy to improve our building, to transform access to our collections and to refresh and revitalise our galleries. Over the next five years we will create a world-class museum experience within the Domain building, including refurbishing half of our galleries, creating more public and special exhibition space and developing a hospitality hub that will encourage visitors to make the Museum a destination. The Museum’s collections and their care and accessibility will remain a core priority, and are the vital asset that drives and stimulates engagement with audiences. The end of 2019 will be an important milestone for the Museum, where we ‘reveal’ our new Tāmaki gallery on the ground floor and launch our enhanced hospitality precinct in the South Atrium. This transformative programme of work will be financed by our Asset Replacement Reserve, made up of depreciation funding provided by Council through an annual levy, supplemented by $12 million of funding and sponsorship to be raised over the next three years. • Creating new walkways, north to south, to improve access and wayfinding. • Renewing and refreshing of the permanent galleries on the ground floor; for example, the Tāmaki gallery will provide Auckland anchor stories of our people and our place. We will create a living room for the city, enabling our visitors to interrogate Auckland – the city’s past and current state – and a ‘weather station’ for exploring and debating the future. • Refurbishing and relaunching the South Atrium as a hospitality precinct, with a kai room for families, an upgraded café and a new retail store. • Creating a new Special Exhibitions Hall, able to accommodate our invigorated programme of temporary and international exhibitions. • Launching a new learning base on level one, to welcome more schoolchildren into an immersive learning environment. • Investing in consolidated opensystems workspace, enabling our people to work more creatively and collaboratively as is appropriate for a leading cultural and research organisation. • Being ready to welcome significantly increased visitor numbers in 2021, when Auckland hosts the America’s Cup. Fit-out of a dedicated collections centre was completed in 2017, to enable the gifting of more of the Domain building to the public. This building will increasingly become a public space, and a cultural destination and hub for exploring the city’s rich collections. Offsite collections will be looked after within purpose-designed environments with up to 30% of collections stored there by 2023. Communities will be able to make good use of the collection study facilities available within this centre. 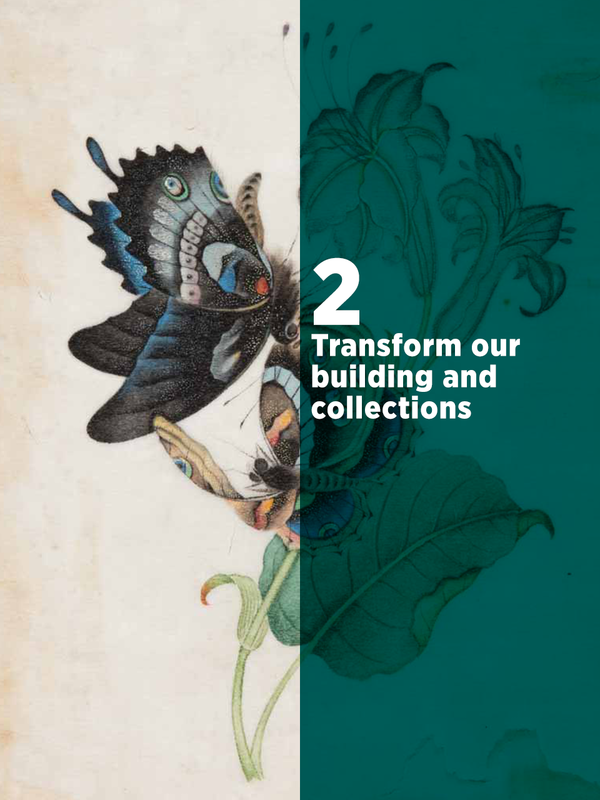 Over the next few years, we will identify a more efficient distribution of collections storage, conservation and research facilities and workspace, onsite and offsite, which will enhance collections utilisation and service the Domain building. 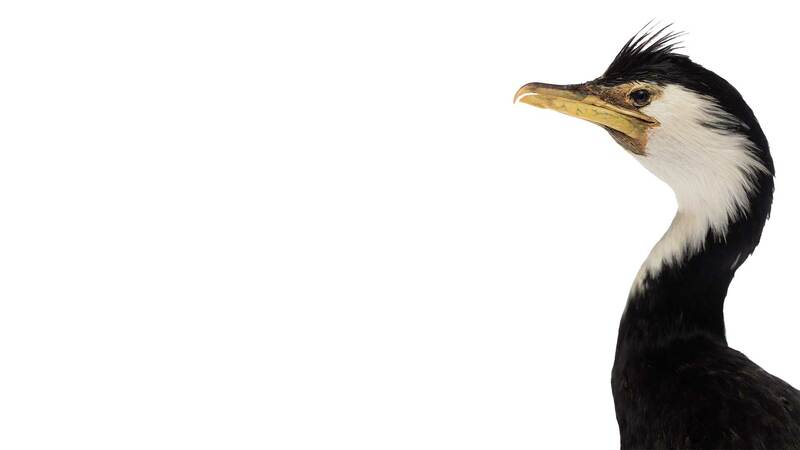 Auckland Museum is kaitiaki for an encyclopaedic collection of human and natural history. Supported by our digital tools, this unique combination of assets has the power to transform our visitors’ understanding of the world in which we live, enabling them to interrogate relationships between human culture and the natural world. What we collect informs our programming and will enrich our galleries. We will continue to be strategic about collecting for tomorrow, identifying those objects we must acquire today that will be the target of future investigation and debate. Professional stewardship of the collections includes employing the latest conservation and care techniques to ensure objects can contribute their full value well into the future. Collection processes and projects will focus on optimising intellectual and physical access, creating connections between collections and applying high standards of care and management. New partnerships will provide opportunities to collaborate across education and engage new audiences. The Domain, including Auckland Museum within it, is a regionally important cultural and recreational amenity and open space. We will work with Auckland Council and local and neighbouring business communities and universities to develop a stronger street presence. We will also increase access to the Museum from Parnell and Newmarket, in order to draw more visitors and increase time spent in the area. We will work with Auckland Council and Auckland Transport to enhance pedestrian access, and to improve public transport links and wayfinding through the Domain, aligning with Council’s Domain Master Plan. The construction of a pathway to the Museum’s south entry is an important first step. Auckland Museum will continue to make creative use of the exterior of the building, including lighting it, to recognise the events that matter to the city. Our ambition is to be better connected to the city, visually and logistically, and to improve accessibility. We will continue to invest in caring for our heritage building by implementing our Heritage Asset Management Plan. We will also play our part in reducing our carbon footprint and in protecting the environment. The steps we have taken, including the installation of solar panels, energy-efficient lighting and air conditioning, have received national recognition. We will continue to find ways to reduce our environmental impact and the Museum’s costs, and engage our staff actively in this work. We will refresh our Sustainability Strategy. 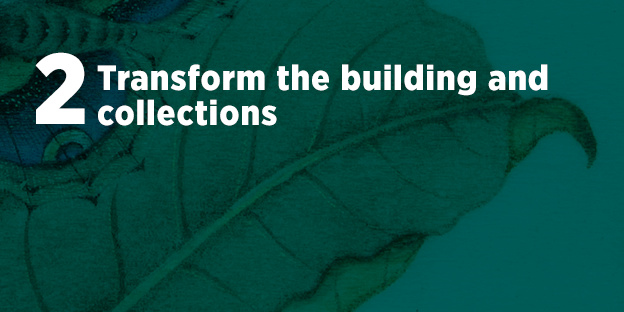 The next stage is to embed sustainability in our building programme and work practices, focusing on reusing our exhibition materials, recycling, reducing printing, and assisting our people with travel planning to and from work. We will also engage with Aucklanders on environmental issues through our exhibition, programme and education activities. Optimising Auckland’s iconic Domain building for public engagement and enjoyment is an evolutionary process. We expect 2021 to be a huge year for Auckland and Auckland Museum, and we will plan for this. By 2022, we will largely have completed the first phase of our Future Museum programme of work, and will have planned the second phase of our capital improvement programme, to be funded through the Auckland Museum Foundation and fundraising activities. This second phase will centre on securing a major expansion to our special exhibition, research and community collaboration facilities and amenities to benefit Aucklanders. 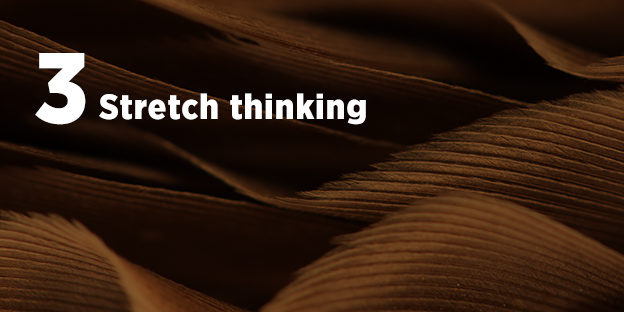 We want to stretch thinking – our own and everyone else’s. We possess a unique suite of assets – collections, community relationships and digital tools – that place us at the heart of the knowledge economy. Our goal is to use these to generate new knowledge and new ideas, and be a catalyst for debate, whilst using these assets to educate and engage the next generation. 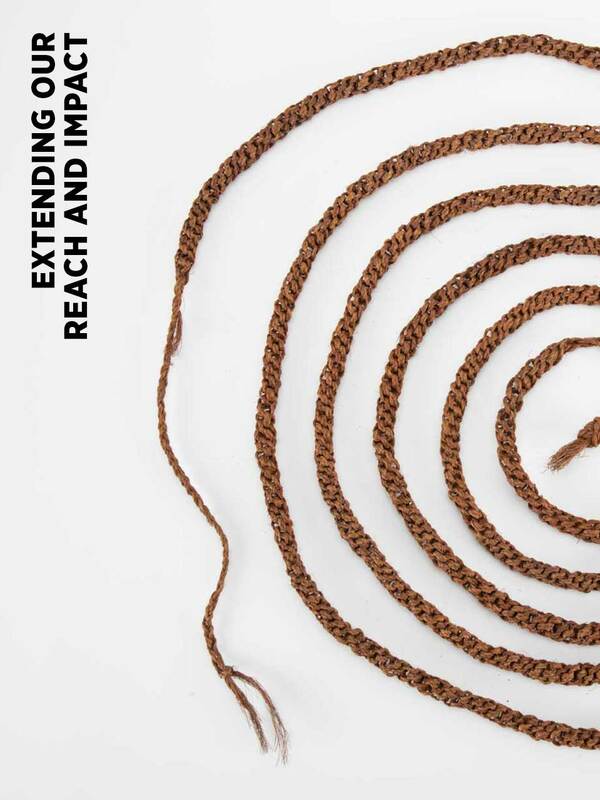 This strategy has direct implications for how we present the collection, what is included, the research and fieldwork that supports it, and how we enhance understanding and access – on the gallery floor, in the classroom and online. Auckland Museum is a site of investigation about the city and its region, its evolution and future trajectory. The Museum’s collections of human, natural and documentary heritage, together with our extensive digital assets, increasingly enable a trans-disciplinary approach to global questions such as human impact on our natural environment or questions about colonialism and post-colonialism. We will actively develop our international profile though an enhanced programme of publishing our research in all aspects of museology via a range of platforms and channels. 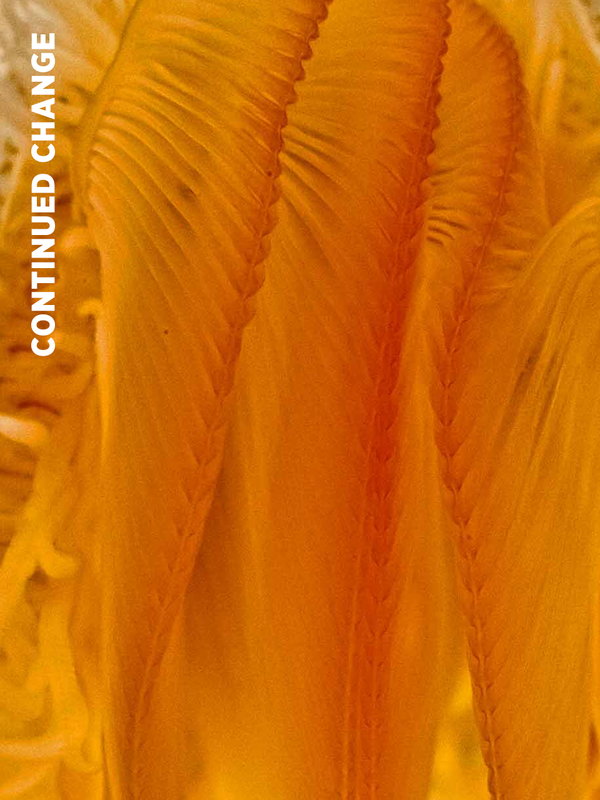 Focusing on our key collections, our museum research priorities over the next five years will focus primarily on Tāmaki Makaurau – its origins, current state and future – and will include biodiversity and the question of human impact on the natural environment, together with a reconsideration of the New Zealand Land Wars. Increasing utilisation of Manu Tāiko, our new collections management centre, will enable us to create an object laboratory for our researchers, students and community partners. This will reinforce the role of the Museum as a ‘material site of knowledge’, as envisaged by our founders. We will build partnerships with our universities on a number of mutuallycritical investigation areas, exploring opportunities for digital innovation, as well as for conservation and science research and engaging students at all curriculum levels. We aim to cast our intellectual net wide and find ways to open up our collections to all those who can help us interrogate our content and explore new meanings. Inspired by our successful Pacific Collection Access and Te Awe collection readiness projects, which unlock cultural knowledge, we will continue to draw on tohunga (experts) and knowledge-holders within our Māori and Pacific communities to transform our understanding of the collections. Our research spaces are being designed to accommodate engagement with our knowledge communities. Our historic collections are not just rich resources for reflection but rapidly also becoming creative technologies that enable people to make new things in the present. Auckland Museum will be a centre for developing the ‘democratic intellect’ of the city. The global museum community has moved from using traditional models, where specific collections access was exclusive, to a position which enables open digital access as the default. Auckland Museum has been a leader in this democratic approach and we will continue to push the boundaries for the benefit of communities, research and education. To enable audiences to develop connections and find meaning in collections, we will invest further in our public interface and generate deeper interrogation of our images and data, including community knowledge. Utilising Linked Open Data methods and principles, our collections will be part of a global network that enables access, irrespective of location. We will be an active contributor to the international community developing open data principles and appropriate practices for the care of cultural intellectual property. Working closely with our tertiary education partners, Auckland Museum will grow our role in nurturing the talent pipeline for the museums and galleries sector. We will co-develop programmes in the postgraduate curatorial training curriculum and create new opportunities for students to undertake internship experiences within the real-time professional museum environment. In line with our mission to build sector capacity, we will lead workforce development and grow leadership capability. We will share our learning and new practices in cultural competency and community co-development with our counterpart museums and galleries. 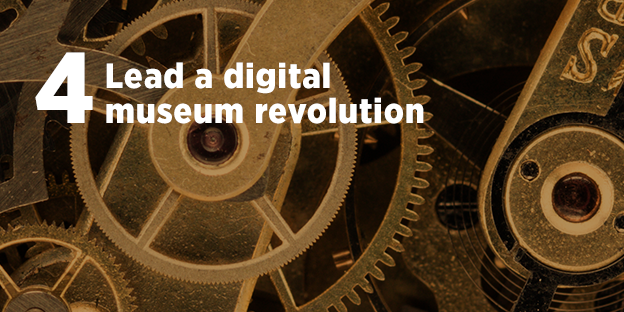 We want to be recognised as a leading digital museum, and will achieve this by making technology an integral part of the museum experience, to provide vital context and to share knowledge. We will complement and enhance our onsite Museum experience through personalisation, interactivity and richness of content. We will continue to invest in digitising our collection and in the quality of the public interface. We will use digital technology to connect people and make more content available through traditional and non-traditional channels. There is an emerging trend towards shared authority, where multiple perspectives are highlighted and community involvement in programming and exhibitions is encouraged. This new model is impacting how Museum staff approach their work and the skills they need to be effective in their roles. Digital channels and technologies are playing an increasingly significant part in how we interact and encourage participation from our visitors, and this trend will continue. Auckland Museum is committed to moving beyond the familiar territory of preserving and interpreting objects in our collections. We will explore their potential to engage our community in new ways. New programmes will raise awareness of difficult topics – such as human impacts on the environment, biculturalism, discrimination and inclusion – as we strive to ensure we play our part in the ongoing development of a vibrant democracy and robust sustainable society. Emerging technologies will be showcased to Aucklanders to excite and engage them. We will work alongside Auckland Council to make Auckland one of the leading ‘smart cities’ in Asia Pacific, ensuring the Museum becomes a place where Aucklanders come to explore the future, allowing them to navigate the rapidly-changing world in which we live. We will seek partnerships with leading research institutions, start-ups and businesses nationally and internationally to ensure our position as a centre of excellence in the use of technology. This will be achieved by investing in publicly-accessible innovation labs and learning centres. 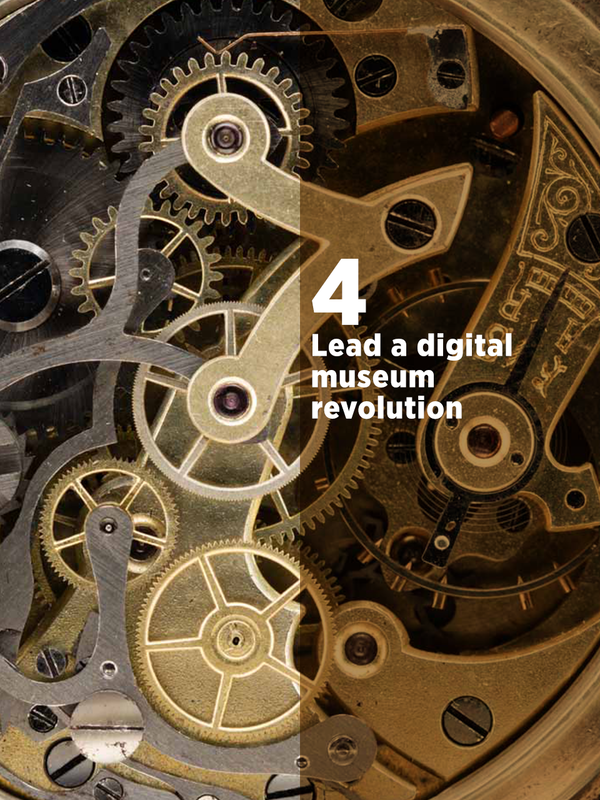 Our digital and ICT strategies will ensure we embed digital into all aspects of our work across Auckland Museum. Over the next five years, Auckland Museum will invest to transform the visitor experience, ensuring a deeper and richer overlay of cocreation opportunities across the galleries, helping to deliver a more connected experience for all our visitors. We have been at the forefront of developing digital experiences, such as virtual reality interactives and collectible content, and these will be embedded further in our galleries and programmes, allowing visitors to make new meaning of the collections and the world around them. We will also modernise two classrooms to become learning hubs, dedicated to encouraging hands-on learning. This will enable the exploration of ideas, technologies and museum collections, and will create new digital learning resources well aligned to students’ needs. We will embrace the notion of onsite, offsite and online in every aspect of our digital offering to ensure we have maximum impact in the community. We acknowledge that technology evolves rapidly and in unpredictable ways; so, we will invest in sustainable technology that protects our data and intellectual property and enables us to adapt dynamically in order to remain at the centre of the technology revolution. Pocket chronograph. Auckland War Memorial Museum Tāmaki Paenga Hira. H411. CC-BY. Auckland families represent over a quarter of our visitors and we will attract more. We will be a vibrant place for learning, enabling young people in particular to realise their potential. Programmes will be based around our exhibitions and utilise the unique spaces and experiences only we can provide. The learning environment will be stimulating, memorable and appropriate to the varied learning styles for our visitors, be they educational and school groups, preschoolers, families or lifelong learners. We will partner with individuals, communities, government and organisations to co-create programmes and enrich what we offer. The Museum will be a model for best practice, providing effective, innovative and responsive learning and engagement for all our visitors. 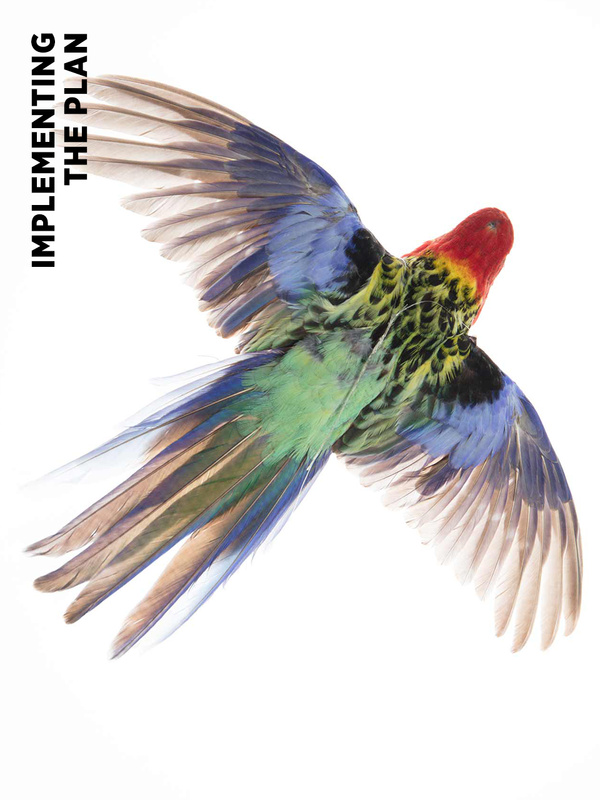 We will deliver this through onsite, online and offsite programmes and events. We will transform our education offering by expanding its reach, relevance and points of difference. We will put the needs of learners first by rethinking our model of engagement, working flexibly and responding promptly to their feedback. The unique museum learning environments will provide the ability to see, touch and learn about the world around us. We have the potential to offer a wonderful alternative to the formal classroom pedagogy. New opportunities to discover the world at first-hand through the material and digital record align closely to 21st-century curricula. By 2020, we will have built a new onsite ‘learning base’ facility inspiring curiosity and wonder. We will also establish a more varied and targeted programme of facilitated study visits and distance learning platforms. We will be recognised as a worldrenowned leader in the museum community for experiential, selfdirected, hands-on learning. Through implementing a product and innovation road map, we will develop a range of services which can be accessed by schools and other learning communities, such as libraries and kindergartens. The products and services we design, such as Museum in a Box, will be made available through a variety of distribution channels. 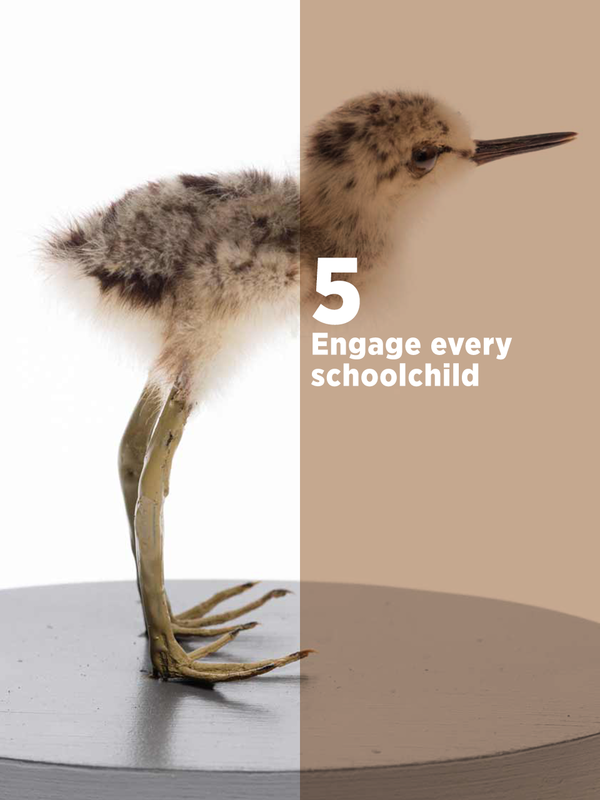 • Ensure learning environments and curriculum links are embedded in our galleries and exhibitions • Create a teacher in-service training programme and a teacher membership programme. In a busy urban environment, our Museum will offer safe, creative spaces for families. Building improvements will enhance the education offering. This includes the new Learning Base and the South Atrium, which will, together with the construction of a new kai room in 2019, ensure we provide the amenities our visitors expect. We will become one of only a handful of museums that specialise in early years programming and expand our programmes for the under-fives. We will provide immersive environments and innovative spaces for play-based learning that will support families, carers, educators and children to learn together. We will combine hands-on exploration and discovery with playbased learning. 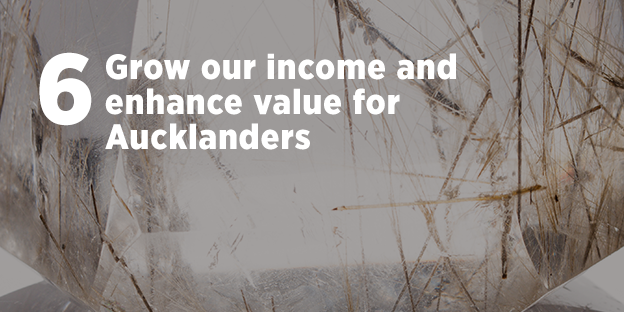 We are committed to enhancing our offering to Auckland ratepayers, demonstrating a return on their investment and helping to secure our own future. Our ratepayer levy remains vital, enabling us to provide public galleries and programming free to Aucklanders, and we need to enhance this resource through commercial activities, grants and fundraising. Fiscal constraint will mean prudent capital investment, strong cost control and sound business practices. 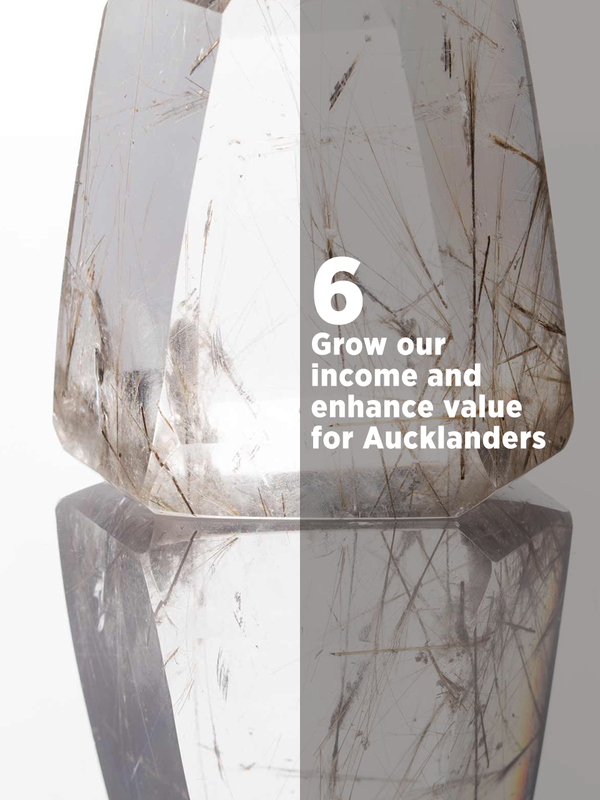 Auckland Museum is committed to achieving sustainable revenue growth. Over the next five years, our commercial strategy is to increase onsite visitation and to amplify revenue-generation opportunities in the areas of ticketing, retail, catering and corporate hospitality. Actions will include expanding our ticketed special exhibition programme, relocating our Museum retail store to a more visible location in the South Atrium and driving sales, expanding our food and beverage offering, and investing in our venue hire business. In 2017, we upgraded the commercial event space on level three of the Domain building, to support increased sales, and at the end of 2019, we will launch a new hospitality precinct in the South Atrium and an enlarged Special Exhibitions Hall. We anticipate revenue will be static over the next few years while these key building improvements are undertaken, but by FY 2022/2023 we are confident we will have increased our annual selfgenerated revenue by 30% to $12 million. We will also continue to manage operational and capital costs closely. Donors are central to realising the Museum’s full potential, and we cannot deliver this Five-Year Stratgeic Plan without them. We are inspired by the strong loyalty and affection for the Museum among current sponsors and we will build on this by widening our networks of support through our new Museum Membership Programme and through creating new connections and rallying fresh support around our much-loved brand and the work we do. By 2020, we will have raised $12 million through sponsorship, charitable partnerships and philanthropic fundraising for our current Future Museum building and gallery renewal programme. Looking further ahead, we will also have established, by 2022, a strong future development platform and begun fundraising for the next phase of our capital works programme. We will find the right fit between our donors’ aspirations and our own, and offer a range of sponsorship incentives; these will focus on the new public galleries, our work with schools, digital innovation, research ventures, and more – a compelling offer we are confident will attract support. Working with Auckland Council and other cultural entities, we will make our mark in the vibrant arts and culture sector to create a leading global city. We will actively seek Auckland sector collaboration, including joint marketing, public programming, digital access and workforce capacity-building initiatives. We will also seek to coordinate priorities across civic cultural and learning institutions to establish a shared experience, improve delivery and provide better outcomes for Aucklanders. We will invest in key partnership ventures, including digital access across the city’s multiple collections assets. We will support local and central government agendas for economic growth and tourism. We will build strong relationships with national and international museums, including joint investments in exhibitions and programmes as well as in collection and exhibition exchange programmes. Following the completion of the Museum’s capital works programme our revenue is planned to increase significantly and by 2022/2023 is expected to increase to $12 million; this is an increase above the revenue reported for 2016/2017 of 30%. This trend reflects actions that Auckland Museum is taking to become more self-sufficient. As a result of these revenue increases, we are planning to reduce our levy increases from 2021/2022, from 2.5% to 2.0% per annum. We will also continue to manage operational and capital costs closely. 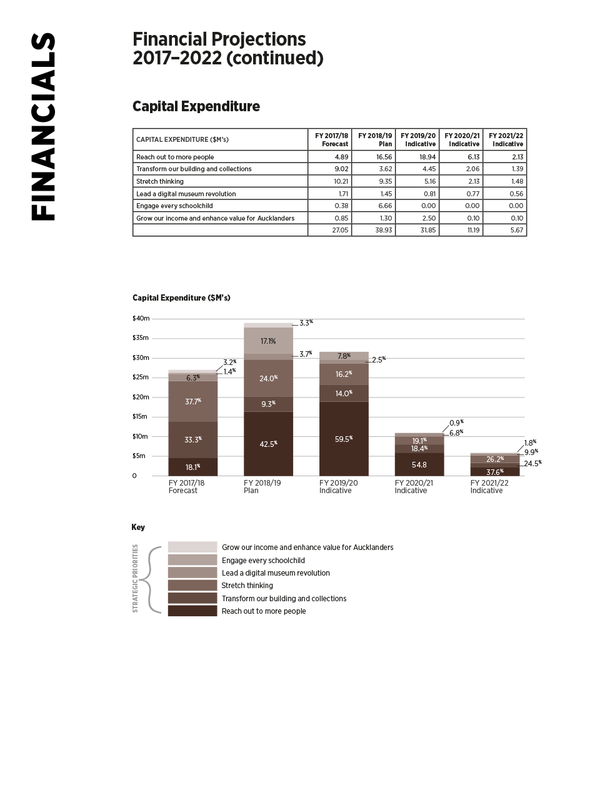 With the establishment of the Auckland Museum Foundation, created to raise long-term funding of the Museum’s capital works and programming, the Museum may be in a position to fund its own capital works programmes in the future, rather than rely on Auckland Council through the annual levy process. Auckland Museum envisages a staged delivery of our Five-Year Strategic Plan, as illustrated below. In the initial years, 2017–2019, the Museum will focus on initiating and laying the foundations of the Five-Year Strategic Plan, including delivery of a number of essential building and collections readiness projects. In the second stage, 2019–2020, we will transform, revealing key onsite developments. From the third phase, beginning in 2021, we will be positioned to accelerate growth. 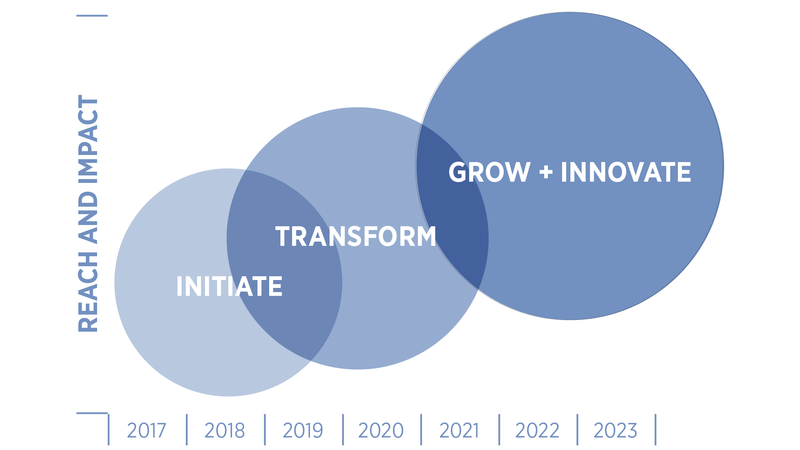 We will expand our reach and revenue, and further invest in innovative, commercial partnerships that will help shape our future beyond 2022. The staged approach will allow Auckland Museum to pursue our strategy in a way that reflects the organisation’s capability and capacity, and balances pursuit of the strategy with delivery of our core business. 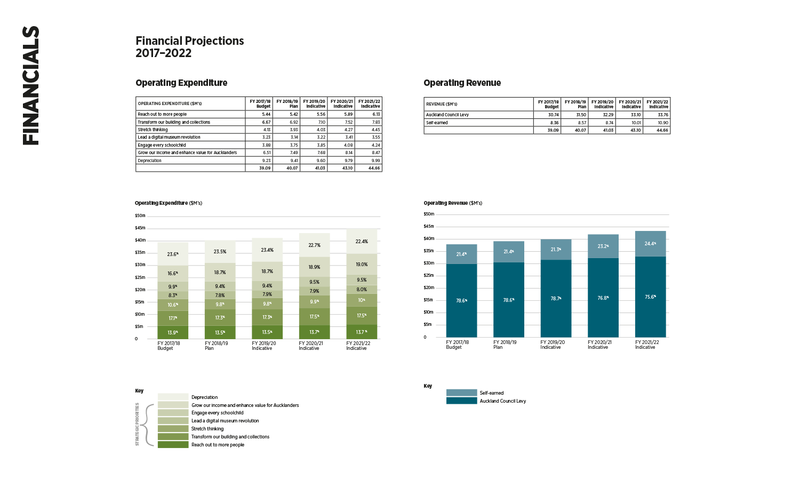 The phasing of priority and annual initiatives will be a part of the annual business planning process and will allow us to respond as our capabilities grow and opportunities arise. 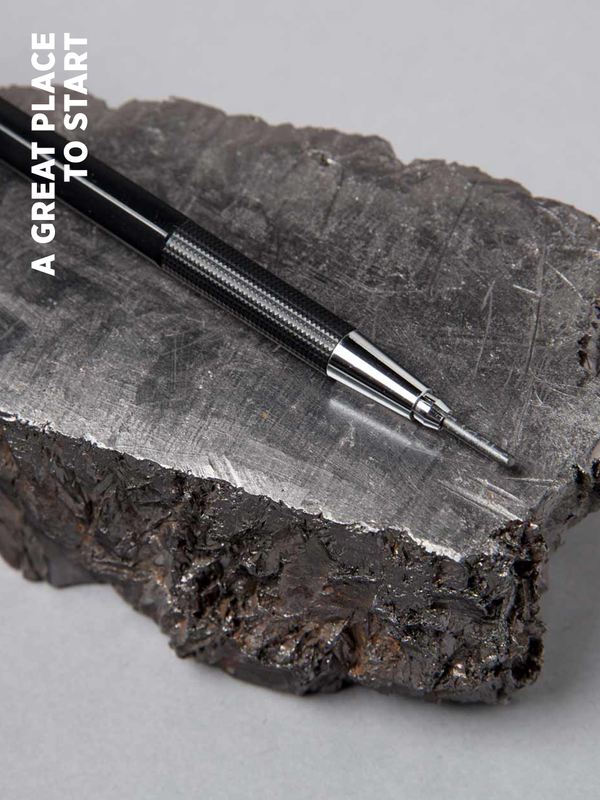 Download our Five-Year Strategic Plan here. Read our Future Museum Plan here.